What does Jesus declare Himself to be? “But the Scripture hath concluded all under sin.” Gal. 3:22. “For all have sinned, and come short of the glory of God.” Rom. 3:23. How many are affected by Adam’s transgression? “Wherefore, as by one man sin entered into the world, and death by sin; and so death passed upon all men.” Rom. 5:12. What is the gift of God? “The gift of God is eternal life.” Rom. 6:23. How many may receive this gift? “And the Spirit and the bride say Come. And let him that heareth say, Come. And let him that is athirst come. And whosoever will, let him take the water of life freely.” Rev. 22:17. In whom is the gift? “This is the record, that God hath given to us eternal life, and this life is in His Son.” 1 John 5:11. In receiving the Son, what do we have in Him? “He that hath the Son hath life.” 1 John 5:12. What loss do those sustain who do not accept Him? “And he that hath not the Son of God hath not life.” 1 John 5:12. In what other way is this same truth stated? After one truly receives Christ, whose life will be manifested in him? “I am crucified with Christ: nevertheless I live; yet not I, but Christ liveth in me: and the life which I now live in the flesh I live by the faith of the Son of God, who loved me, and gave Himself for me.” Gal. 2:20. In what condition are all before they are quickened with Christ? “God, who is rich in mercy, for His great love wherewith He loved us, even when we were dead in sins, hath quickened us together with Christ.” Eph. 2:4,5. What is this change from death to life called? “Being born again, not of corruptible seed, but of incorruptible, by the word of God, which liveth and abideth forever.” 1 Peter 1:23. When man first transgressed, what was done to prevent him from living forever in sin? “And now, lest he put forth his hand, and take also of the tree of life, and eat, and live forever. . . . So He drove out the man; and He placed at the east of the garden of Eden cherubim, and a flaming sword which turned every way, to keep the way of the tree of life.” Gen. 3:22-24. What is declared to be one purpose of Christ’s death? “Forasmuch then as the children are partakers of flesh and blood, He also Himself likewise took part of the same; that through death He might destroy him that had the power of death, that is, the devil.” Heb. 2:14. 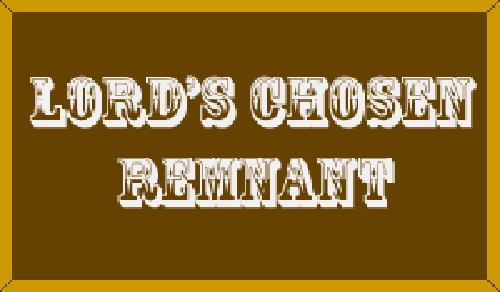 Through whom will Abraham receive the promise of the future inheritance? How many were embraced in God’s promises to Abraham? “And in thy seed shall all the kindreds of the earth be blessed.” Acts 3:25. To whom does the “seed” in these promises refer? “Now to Abraham and his seed were the promises made. He saith not, And to seeds, as of many; but as of one, And to thy seed, which is Christ.” Gal. 3:16. What would make the death of Christ in vain? “If righteousness come by the law, then Christ is dead in vain.” Gal. 2:21. Why have all been reckoned under sin? “But the Scripture hath concluded all under sin, that the promise by faith of Jesus Christ might be given to them that believe.” Gal. 3:22. How then do all become children of God? “For ye are all the children of God by faith in Christ Jesus.” Gal. 3:26. With whom are the children of God joint heirs? “If children, then heirs; heirs of God, and joint heirs, with Christ.” Rom. 8:17. Must seek Him, Lord, by Thee. Nor death nor hell shall harm.